Made from super tough nylon these simply strap onto your feet when wearing either wellington boots or shoes. 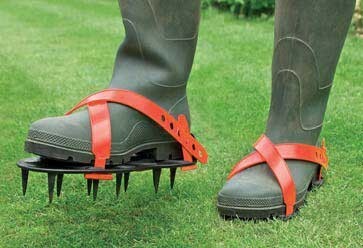 Walk slowly up and down your lawn making sure the spikes go right into the lawn for maximum aeration. Helping to create beautiful lawns.